How many times have you just started a tournament and on the first hand someone goes all in and another player calls … and neither of them have a premium hand like AA or KK? I’ve seen it time and time again. Personally I’ve can only recall one occasion where I called an all in on the first hand of a tournament, because I had AA. I quickly doubled my stack through my reckless opponent who had K 9! When I started playing SitnGo’s and multi table tournaments I quickly learned that there is a yearning from many players for action. They want to be involved in almost every hand! Some of them have money to play with so they feel they can take a lot of chances to try and get lucky early and take the chip lead. I don’t advocate this type of play but I certainly don’t mind playing against it! These players usually don’t last long. I just hope I can get most of their chips before they are eliminated! You must LOVE the Fold! As we have already talked about, hand selection early in a tournament is paramount and you should only be playing premium hands, with few exceptions. In the early and middle positions you should not be playing anything but premium hands (AA, KK, QQ, AK). To me there is just to many players after you to act and being that its early and you might not have a feel for the table and its players yet the best thing to do is fold and preserve your chips. I have learned the hard way that playing weak hands like KQ suited in early position is not a good play. To help me ‘want’ to fold these hands I simply remind myself to look at my chip stack. When I fold I see that it has NOT decreased in size and I have NOT put more chips at risk. The more I fold in the early stages of a tournament the more I see other ‘gamblers’ giving their chips away. On top of that when I do pick up a hand and decide to go into battle then I will have more chips backing me up than if I had played in 25-30% of the flops. More chips means more value when you double up. It’s very easy to call off half your chips early on in a tournament playing hands your shouldn’t, then suddenly you need a double up just to get back to your starting stack and are making no progress. But it’s not all about the starting hands, even if we are disciplined with our starting hand selection we also need to be able to fold when we do enter a hand. I have come to believe that when you play a freezeout multi-table tournament you will have to lay down a big hand now and then and yes some of those are even premium hands. 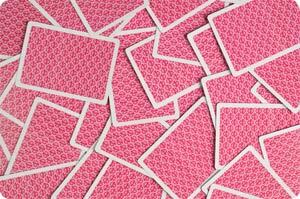 A big lay down takes a huge amount of discipline and skill to know when you have to give up those amazing cards. I think you will experience more big lay down’s when the tournament structure is such that your starting chip stacks are relatively high and the blind structure stays low for awhile. With a structure such as this you have more time to pick your spots and the focus has to be on survival early on rather than the need to increase your chip stack so sometimes the situation dictates you lay down those queen’s and look for a better spot because you can be more selective. Online I have seen this situation many times. A player has pocket kings and even though the flop brings an Ace he/she will still bet or call a bet/raise. The player will bet/call all the way to the river because after all “I got kings!” You must have the discipline to fold when you have a premium hand but you feel you are beat. I see the same scenario with AK a lot. Remember a starting hand dictates how strong of a position you are in before the hand starts. This position changes during a hand and you need to be constantly assessing if you are still in a strong position or whether the tables have turned and you would be better getting the hell out of there. I was online playing recently and this situation came up, which is a great example to share with you on this subject. I had aces and raised it to 4 x the big blind from middle position. I had one caller from the cut off and everyone else folded. All good so far, I’ve got the best starting hand available and have successfully narrowed it down to playing versus one opponent. The flop came K-7-4 with 2 hearts. Not a scary flop but hoping he may have caught something or just protecting from a possible flush I bet out ¾ of the pot. He hesitated for a second then re-raised to double the pot, a huge re-raise! I went into the tank to have a think and used most of my available thinking time. I thought it through. He just called my big raise before the flop so he must have a good hand but wouldn’t he have re-raised me with another premium hand like AA or KK? I had no notes on him so I was not sure of his playing style as this was still early in the tournament. Maybe he had AK and thought he had the best hand? that was feasible, but there was something about the way he had played the hand and the size of the re-raise that didn’t make sense to me. It seemed a bit too obvious to be a bluff. I decided that I could of still been ahead but it really wasn’t worth risking so much of my stack early on in the tournament when I had serious doubts whether I was a favourite in the hand any more. So I decided to lay down the aces but in the chat box I had to ask what he had. He responded “KK, good laydown” and I was leaning toward believing him because he was still around much later in the tournament and I didn’t see him jump into many pots. He was playing a tight aggressive game. I had one other big lay down recently that I would like to share. I was playing a small two table freezeout and the blinds were 75/150. I had AK under the gun and bet 450. A short stack from middle position went all in with his last 500 and a player from the cutoff went all in with 1200. After my bet I had 2000 and thought that facing a raise (all be it from the short stack) and a re-raise that one of them had to have a middle to high pair so I opted to fold. Turns out the short stack had 77 and the cutoff had KK. No 7’s or K’s hit the flop but an ace hit the river! Even though I would have won this hand, I still feel I made the correct call at that stage of the tournament. AK although a very good hand is still a drawing hand, meaning you have to hit cards otherwise all you have is Ace high, and with significant strength shown by two other players I was happy with my fold. So have you got the Skill to do it? It takes a tremendous amount of skill and discipline to lay down a big hand such as AA, KK, QQ or AK. I’ve seen to many players push all in or call any bets all the way to the river with these hands despite the flop, turn and river showing other strong possibilities and ignoring the information your opponent gives you during the hand. Once and awhile you have to find the discipline to make the big lay down. Learn to love the fold and you may find that you win a lot more by folding and not losing chips than you would just playing blindly.